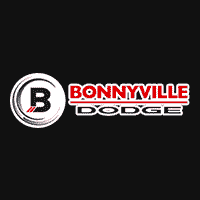 If you’re looking for the best deals in Bonnyville on vehicle leasing or car financing, then Bonnyville Dodge is your choice dealership. We provide excellent car financing and lease rates for brand new Dodge, Chrysler, Jeep and Ram models. If you’re interested in purchasing a used car or truck, we can also get you attractive auto financing rates on all recent models. Even if your credit history is less than perfect, you’ll find a safe credit haven at Bonnyville Dodge. We are here to help you rebuild your credit, and even if other car dealerships have turned you down, we can help get you back on track to a good credit score. The first step is simple: just take out a car loan, or lease a vehicle. We will work with you to find a vehicle and financing plan that works with your budget, and gives you the flexibility to make the monthly payments. Over time, as you maintain a record of on-time payments, your credit score will improve and provide you more borrowing freedom. Leasing a vehicle is another great way to get on the road and often leaves you with lower monthly payments than financing a vehicle. When you lease a vehicle you also have the opportunity to buy your vehicle at the end of your term, often for an excellent price. We provide car loans and vehicle leasing services to customers across Northern Alberta including Cold Lake, Bonnyville, St. Paul and Lloydminster. Take the first step and fill out our online car credit application to get pre-approved for vehicle financing today! You might not believe that you would qualify for low percent financing, but there’s only one way to find out. We may just surprise you with how affordable owning a new vehicle can be! With Bonnyville Dodge it’s possible to get car financing and car loans in Bonnyville for bad credit.